This Slow Roast Turkey!!! It is juicy and so simple. Without any basting, brining or intricate butter rubbing bacon weaving skills, you get a super moist delicious bird. There is no babysitting, you stick it in the oven and leave it overnight. This is the BEST turkey you will ever cook! There is no babysitting, you stick it in and leave it overnight. Plus you can have the bird cooked and resting whilst you get the sides done, and then just give it 15 minutes before you serve it. AND!!!!!!! this is a biggy, (especially if you are a fellow Australian!) you don’t have to have to the oven cranked up at the 200ºC level for 3 hours. No upping the air-con because the turkey is about to go in the oven. Seriously this recipe is a scream it from the roof tops winner!!!!! 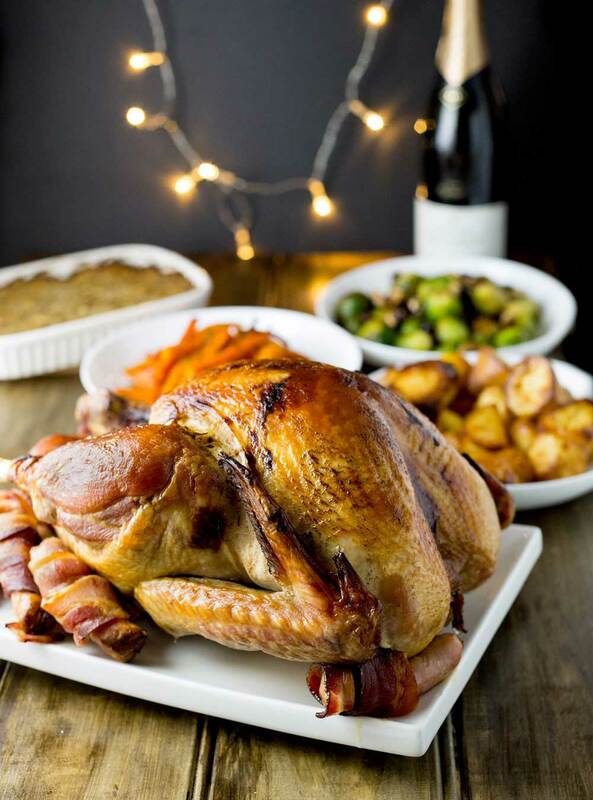 Can you cook a turkey overnight? You sure can, and it will be the juiciest and most tender turkey you have ever eaten! I originally read about this recipe in a newspaper article, I think it was the Guardian but I am honestly not sure. It is based around the way that Heston Blumenthal cooks turkey, except it is home cook friendly, no fancy equipment needed. What equipment do you need for Slow Roast Turkey? 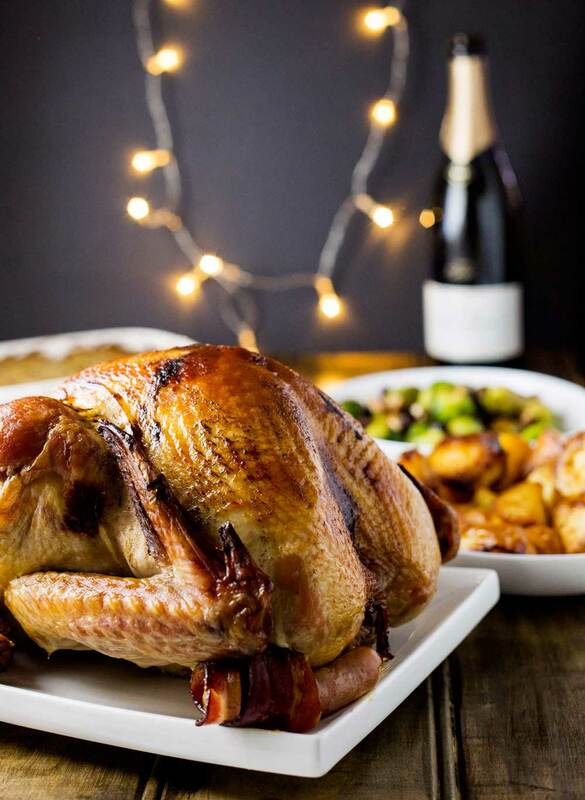 For this slow roasted turkey all you need is an oven, a roasting tin and a digital meat thermometer. I am afraid the thermometer is a must. But they are not expensive and I promise you that once you use one, you will never question the purchase. In fact, I would say that cooking this turkey once is justification enough for buying one. But any roast dinner is better if you have one. Here is Australia you can buy them in Myer, David Jones and the other day I saw one in my local supermarket. They are about $15 and worth every cent! I asked my Dad to do me some research and in the UK “They’re everywhere” (quote unquote!!! 😉 ) He says, Marks and Sparks have them for £15, Lakelands and Argos also do them and then there are plenty on Amazon. I also checked with some food blogger friends, in America you can get them in most supermarkets, Walmart, Bed Bath and Beyond and Target also stock them. And again Amazon have a large range. What temperature do you need to cook turkey to? I am not going to lie, when you first take the turkey out of the oven you will think I have gone a little crazy! It looks very sad and pale. But it sits and rests whilst you get on with everything else, then just before you want to eat, you blast it in the hottest oven you can and get the most golden skin. At this point there is one basting needed. But it is a case of pouring some brown butter over the bird before you get it back in the oven. Make sure you get your turkey out of the refrigerator in plenty of time. You need to ensure that the turkey is at room temperature before it goes into the oven. I removed the turkey from the fridge for about an hour and a half before I put it into the oven. 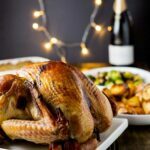 What temperature to cook a slow roast turkey at? You want to set the oven so that the temperature is at 155ºF-170ºF (70ºC-80ºC) or if your oven won’t go that low then just set it to the lowest you can. Then there is nothing left, but to cover the turkey, sit it on a trivet, pour in a little water, get it in the oven, and there it will sit for 10 hours. 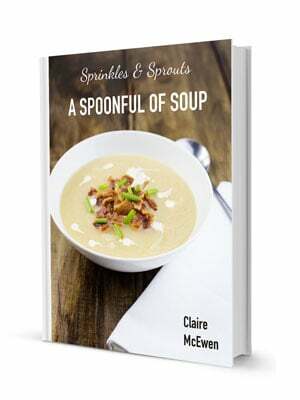 For more delicious Christmas recipes check out my selection of wonderful Christmas recipes! You can see the whole collection here. Why not pin this recipe for Slow Roast Turkey – Juicy and Tender. Pin it here. 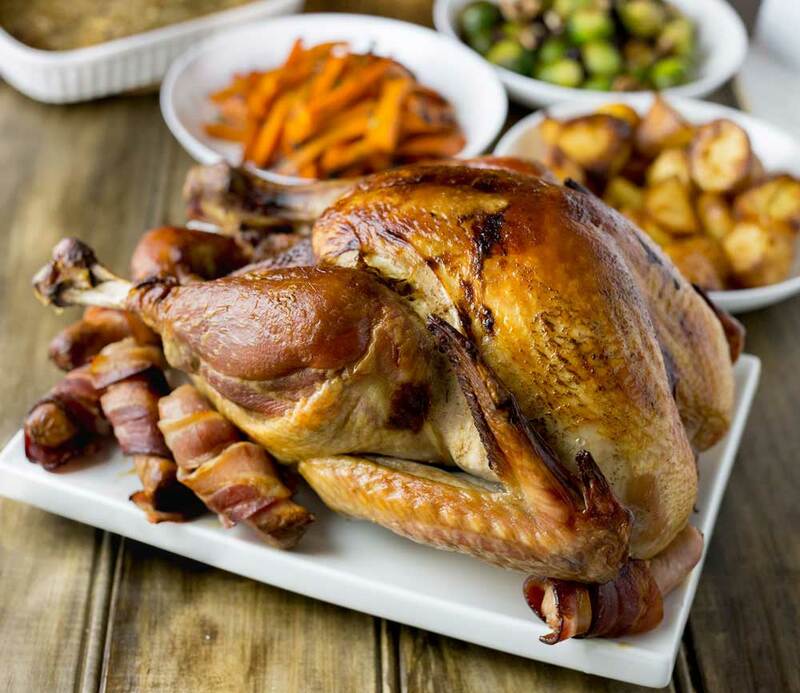 Remove the turkey from the fridge before you want to cook it to ensure it isn't icy cold. Remove any giblets or neck from the turkey. Pour the boiling water into the roasting tin and then cover the turkey with foil. Ensure you cover the bird and really seal the edges. Place the turkey in the bottom of the oven for 10 hours. After this time use a meat thermometer to check the internal temperature of the bird. Check the temp of the thigh meat and the thickest part of the breast. Remove the turkey from the oven and leave it in it's foil tent. Cook your sides and then turn the oven up as hot as it will go. Place the butter in a small frying pan and melt over a high heat until it starts to foam and turn golden. Remove the foil from the turkey and pour the butter all over the skin. Sprinkle with salt and then place the turkey in the hot oven for 15-20 minutes until golden brown and gorgeous. This method will work with any sized turkey. If your turkey is under 4lb (2kg) then set your timer for 8 hours and check the internal temperature then. If the temperature is way 55ºC then you can give the turkey another 2 hours in the oven, or turn the oven heat up by 10-15 degrees. 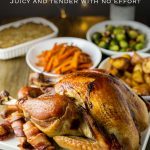 If you love food why not subscribe to my newsletter, I will drop you an email every now and then, just to say hi and send you a couple of recipes I think you might love, like this Slow Roast Turkey – Juicy and Tender. Just made this yesterday for Christmas. It came out perfect! First time I’ve made turkey too! Sooo juicy and tender. Thank you very much for the recipe. I wonder if we can do the same for chicken? 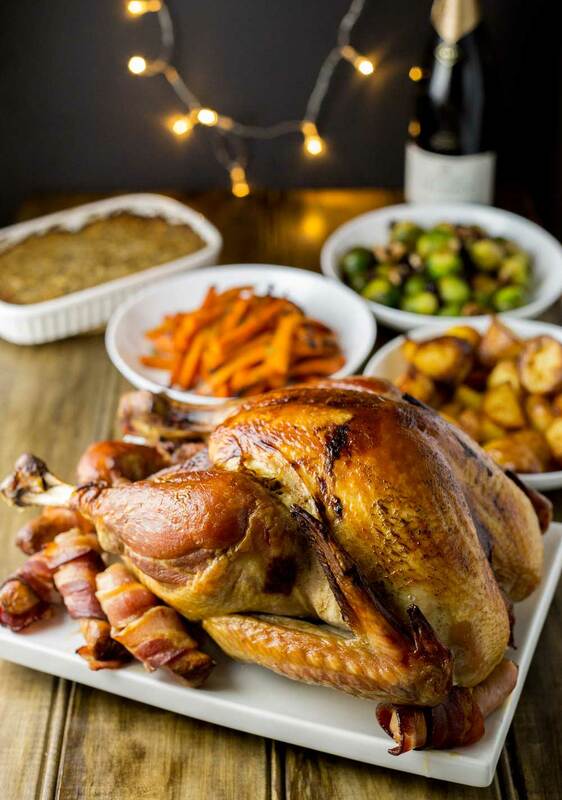 Isn’t it just the best roast turkey recipe!!! I haven’t made the slow roast turkey with stuffing inside, so I can’t say for sure. But I know in a traditional roast adding stuffing will add up to 1 hour to the cooking time. I imagine because the cooking time is so long that this would be the same for the overnight bird as well. This looks beautiful, just wondering if this was this the temperature used with a fan forced oven? Because this is cooked so long at the low temperature I would have your fan forced oven set at the same temperature. Usually in recipes the fan forced temp is lowers so the cooking time remains about the same. Here it shouldn’t make much difference. I would ensure your tinfoil is very firmly sealed so the fan doesn’t dry out the top of the bird. Sorry for the late reply. I took a bit of time off over the Christmas season and am just getting back into it.